Twice Olympic champion in pole vault Yelena Isinbayeva at a news conference in Rio de Janeiro, devoted to the end of her sports career. Forty-two Russian track-and-field athletes who did not go to the Olympics in Rio after being disqualified by the IAAF are to receive an average of 1 million rubles (16,000 dollars) for missing the event. The Russian authorities have decided to make a grand gesture to the national team athletes suspended by the International Federation of Athletics (IAAF) from all international competition in November 2015 in connection with allegations of a state-sponsored doping program. The athletes, who have not been competing at major tournaments already for a year, will receive compensation for missing the Olympics in Rio, according to comments made by Dmitry Shlyakhtin, head of the All-Russian Athletic Federation (ARAF), in an interview with the R-Sport agency. The official said 42 Russian athletes would receive the money, and the total amount of compensation would be 40 million rubles. On average, every Russian athlete will receive 1 million rubles (16,000 dollars). This is only slightly less than the sums that the Olympic champions from the U.S. and Germany receive from their governments, which are 25,000 dollars and 20,000 euros, respectively. However, this does not necessarily mean that all Russian athletes who were not admitted to the Games will receive the same money. An anonymous source told the TASS news agency that three out of the 42 would would receive a sum equivalent to the fee of a Russian champion at the Games in Rio – 4 million rubles (63,000 dollars). For silver and bronze medals, Russian athletes receive 2.7 and 1.7 million rubles (42,700 and 27,000 dollars), respectively. This list, according to TASS, includes pole vaulter Yelena Isinbayeva, hurdler Sergei Shubenkov and high jumper Maria Kuchina. Shlyakhtin indirectly confirmed the uneven distribution of prize money. "Some will get more, some less, depending on the result achieved during the season," R-Sport quoted the functionary as saying. Shubenkov and Kuchina came to the Olympics as world champions in their disciplines. 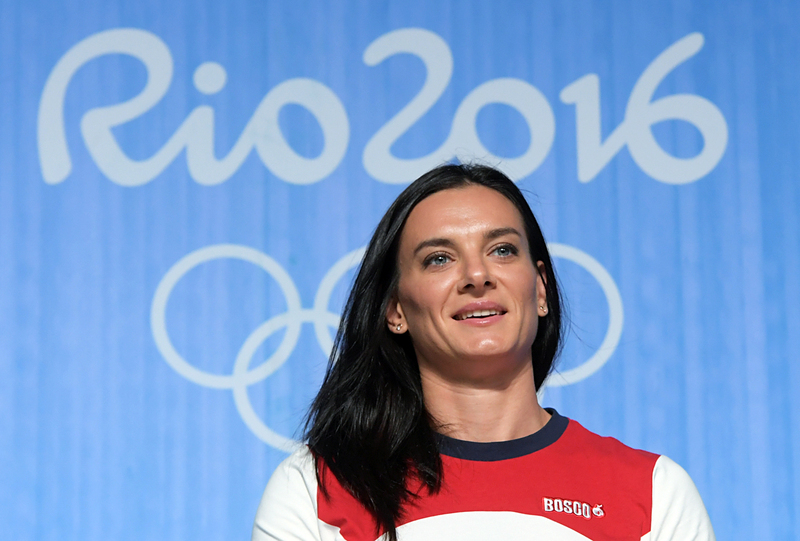 Isinbayeva returned to the sport after giving birth in 2016, but concluded her career after being unable to go to Rio. Her last major success was at the IAAF World Athletics Championships in Moscow in 2013.